The New Year is off to a good start with a new project. We have partnered with Los Angeles-based Sammy Rabbit and the Garret Planning Network to bring a segment of "Dream Big Read" financial education to Arkansas next month. Every elementary school library in the state will receive a copy of "Sammy's Big Dream" to help second graders develop saving habits. We are reaching out to local media and celebrities in each corner of the state to stage "read-alouds" during America Saves Week in late February. 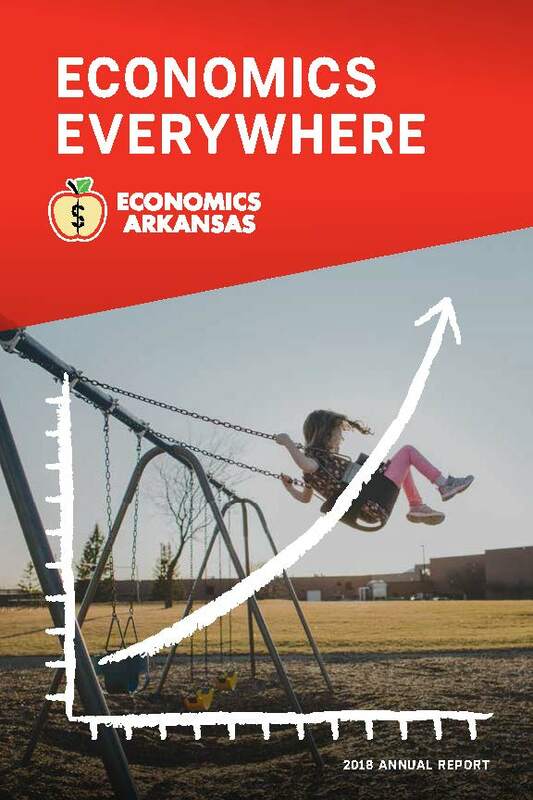 The initiative expands Economics Arkansas's position as a personal finance educator and thought-leader. 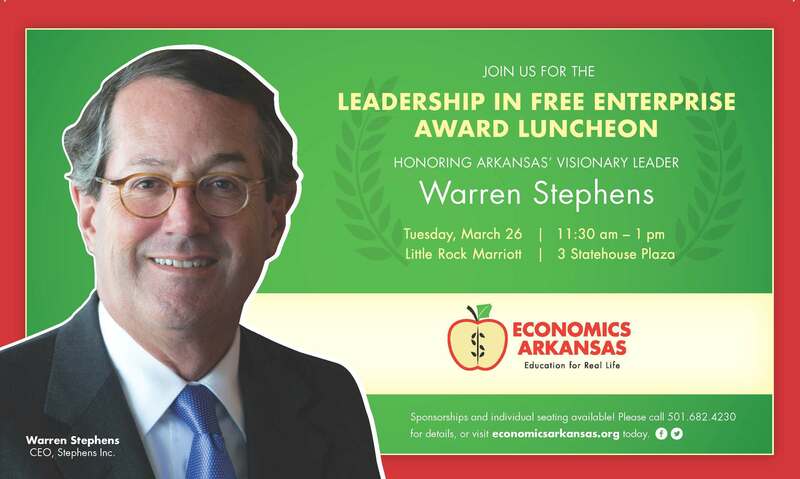 Please make plans to join friends and associates Tuesday, March 26, 2019, at the Little Rock Marriott for an awards luncheon to recognize Warren Stephens for his contributions to free enterprise as chief executive of Stephens and architect of the "This is Capitalism" video series. Sponsorships and individual seats are available. Register now. On the playground, in the kitchen, at a concert hall and on the trading floor. Economics is indeed everywhere. Check out our recently released 2018 Annual Report to find out how our Professional Development training teaches educators and students to explore the economics all around them. We have some print copies available for you to share and help spread the passion for our mission. Please call our office for details. Many thanks to Eric Rob & Isaac for the design. Arkansas bankers have been among our most consistent and generous supporters since our early days in 1962. The Arkansas Bankers Association has played a key role in our annual letter-writing campaign, led with enthusiasm by longtime ABA chief executive and EA board member Bill Holmes. We fondly remember Bill who died in December after an illness. He showed unwavering zeal for economic education and gladly signed thousands of letters on our behalf, asking fellow bankers to support Economics Arkansas. He would be thrilled to know that his ABA successor, Lorrie Trogden, and the current ABA chairman, Cathy Owen, are carrying on the tradition by spearheading the 2019-19 ABA campaign. If you are a banker and have contributed to this campaign, thank you. You are playing a key role in increasing the economic and financial literacy in your communities. We are posting to Facebook and Twitter almost daily, so please visit often for news and sponsor acknowledgments. We always welcome your thoughts and input. Your support is making our work possible and we are truly grateful. Thank you. Please visit our website at www.economicsarkansas.org. Donate to our cause at www.economicsarkansas.org.